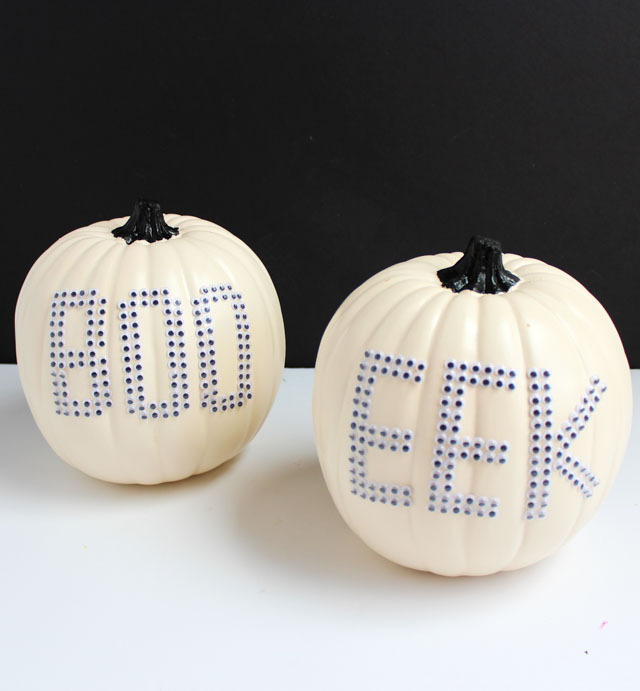 It’s Day 4 of Pumpkin Week and the ideas keep coming! 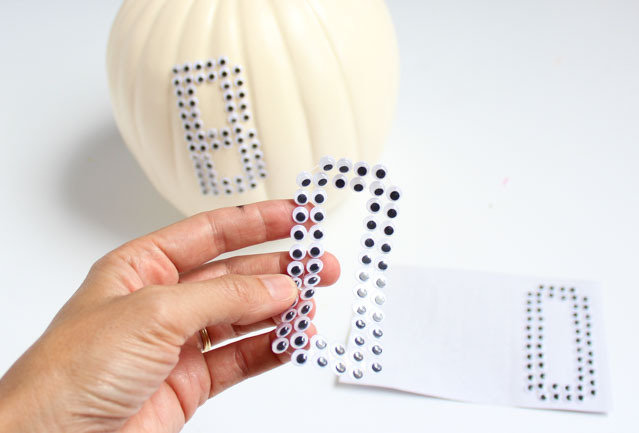 If you liked yesterday’s peel and stick glitter sticker pumpkins, I’ve got another easy-peasy decorating idea for you. 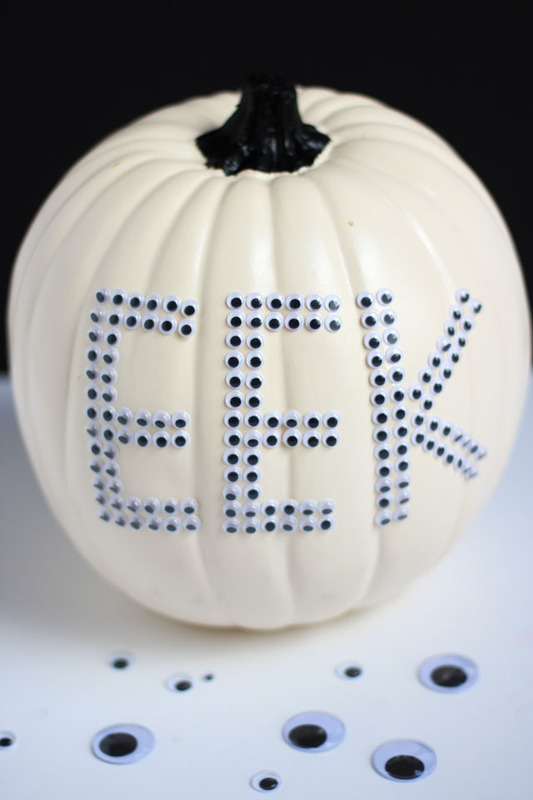 These googly eye pumpkins can be deceiving. 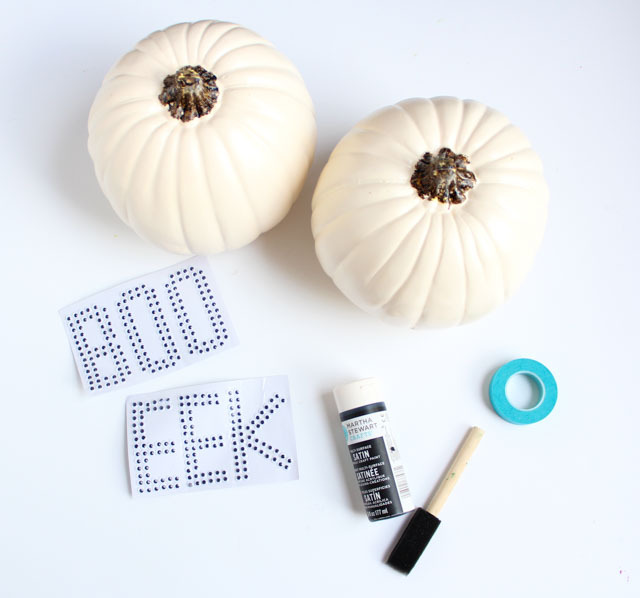 While it may look like I painstaking lined up mini googly eyes to spell a word, these are actually just a set of EEK and BOO wiggle eye stickers that I found at Hobby Lobby. 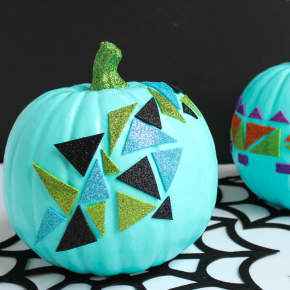 Just slap them on the front of a pumpkin and pat yourself on the back. 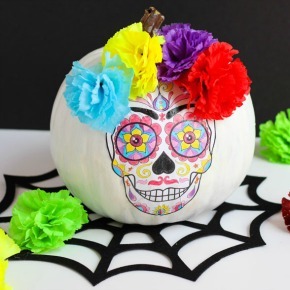 You crafted! 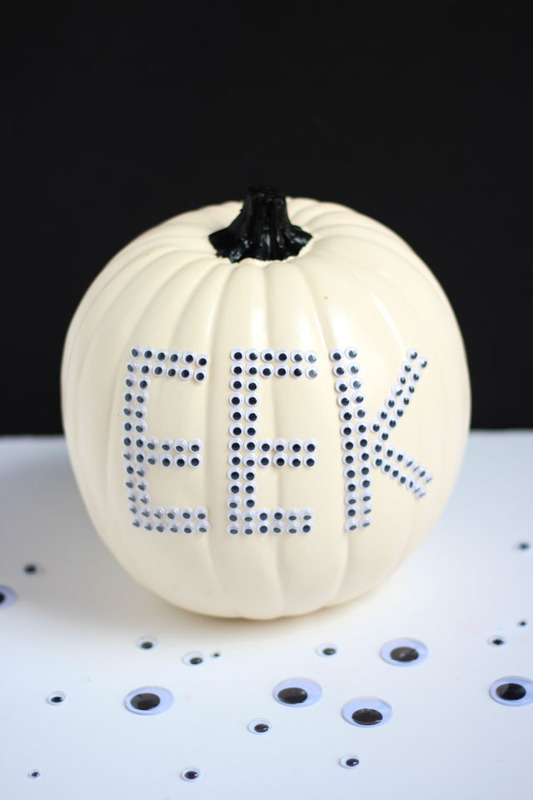 You can buy a pack of the two googly eye sayings for just $1.79 right now while they are on sale. 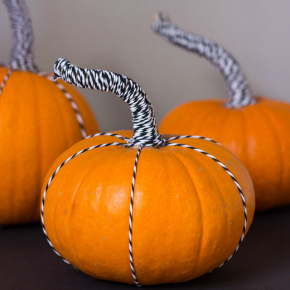 I thought they would look particularly nice paired with a white pumpkin. 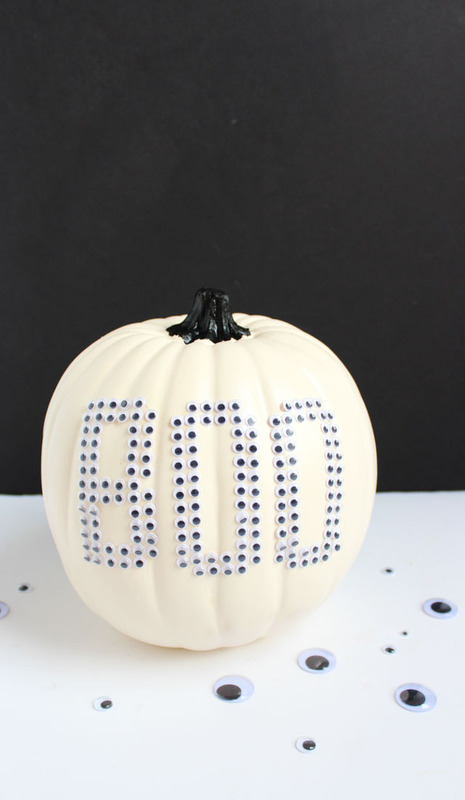 I chose a faux pumpkin, but a real one should work just as well too. Check out all these eyes looking at you! 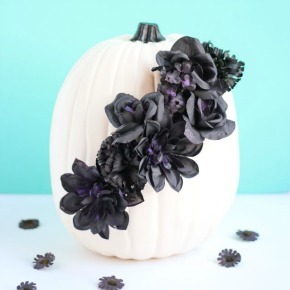 I chose to paint the brown stems on my pumpkins jet black to make them a little more modern (and spooky!) looking. 1. 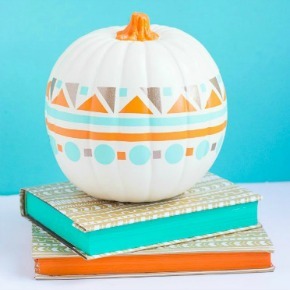 Start by taping off the base of the pumpkin stem with painter’s tape. 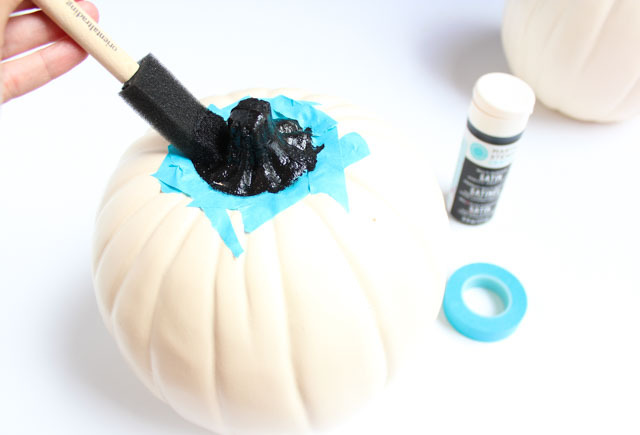 Then paint the stem black with craft paint and a foam brush. 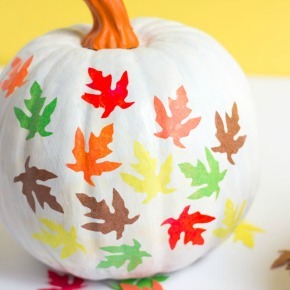 Remove the tape and let dry. 2. 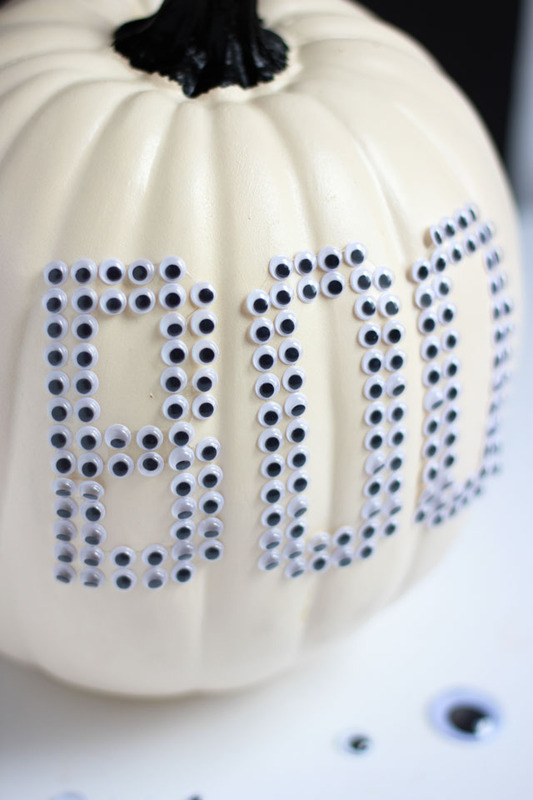 Add your googly eye stickers by peeling them off the backing and sticking them to the front of the pumpkin. 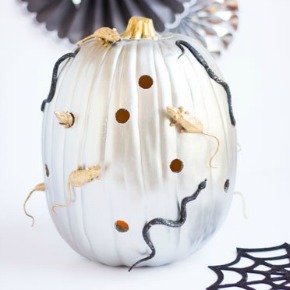 Be careful when positioning them because these guys stick really well and may not be easy to peel off and reposition! 3. 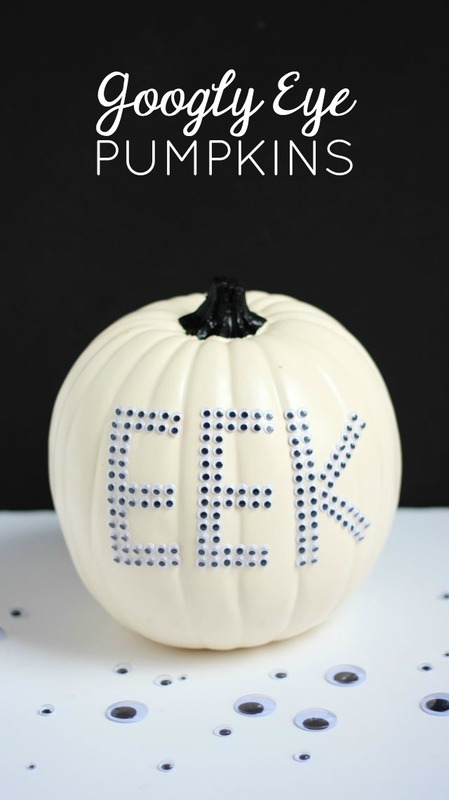 Repeat to make a BOO and an EEK pumpkin. They look great paired together! 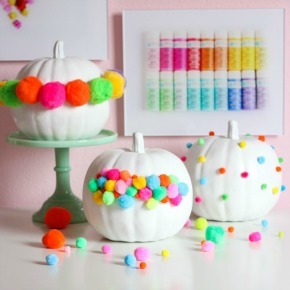 These would be so much fun incorporated into a Halloween party along with some of my Halloween balloons!